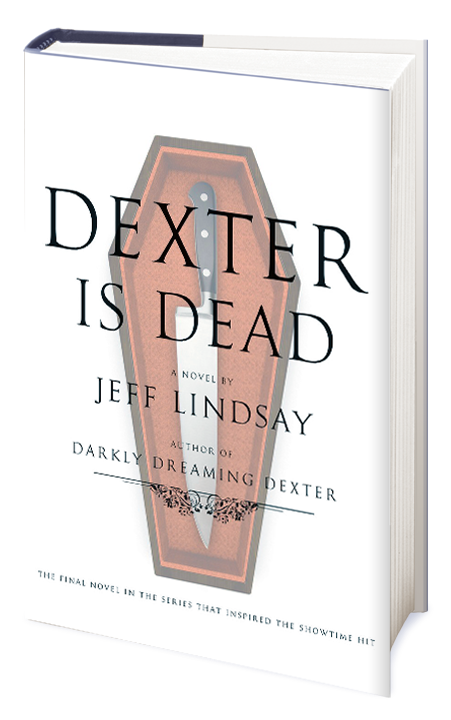 Jeff Lindsay's final Dexter novel, "Dexter Is Dead" is available from today, July 7th, 2015. After seven national bestsellers and eight seasons as one of the most successful shows on television, New York Times bestselling author Jeff Lindsay bids a thrilling farewell to his uniquely twisted and beloved serial killer, Dexter Morgan. Dexter Is Dead is the definitive conclusion of the character who has become a global icon. Novel Synopsis: Dexter Morgan has burned the candle at both ends for many years. Blood spatter analyst -- husband -- father -- serial killer. And now, for the first time, his world has truly collapsed. Dexter is arrested on charges of murder. He has lost everything—including his wife, his kids, and the loyalty of his sister. Now completely alone, Dexter faces a murder charge (for a crime . . . ironically . . . he did not actually commit). His only chance for freedom lies with his brother, Brian, who has a dark plan to prove Dexter's innocence. But the stakes are deadly, and the epic showdown that lies in Dexter's path may lead, once and for all, to his demise. Did you get a copy? Let us know in the comments below!